Tables, tables and more tables! Here at Marquee and Event Hire we have a huge range of tables in all shapes and sizes to suit your next event. From 3 foot rounds all the way up to 8 foot trestles and everything in between! 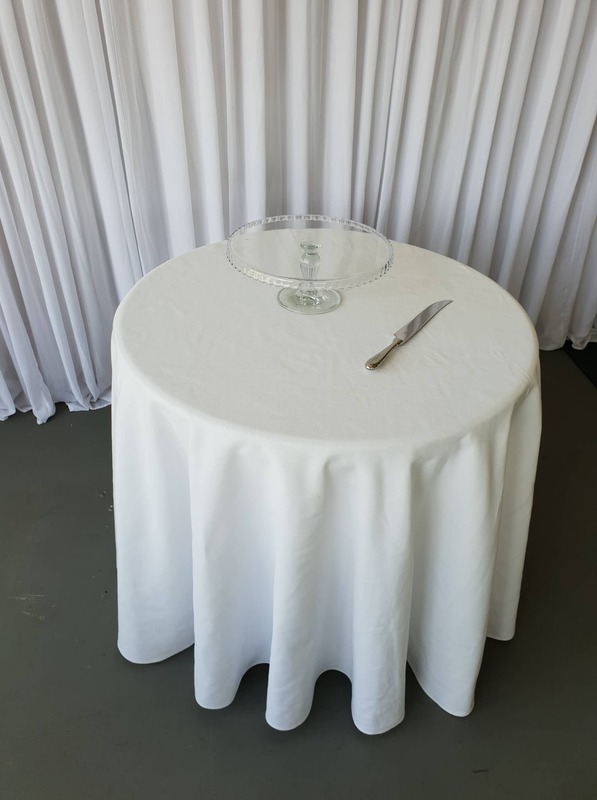 Be it a formal or relaxed event, the tables we have in stock can be dressed to suit. 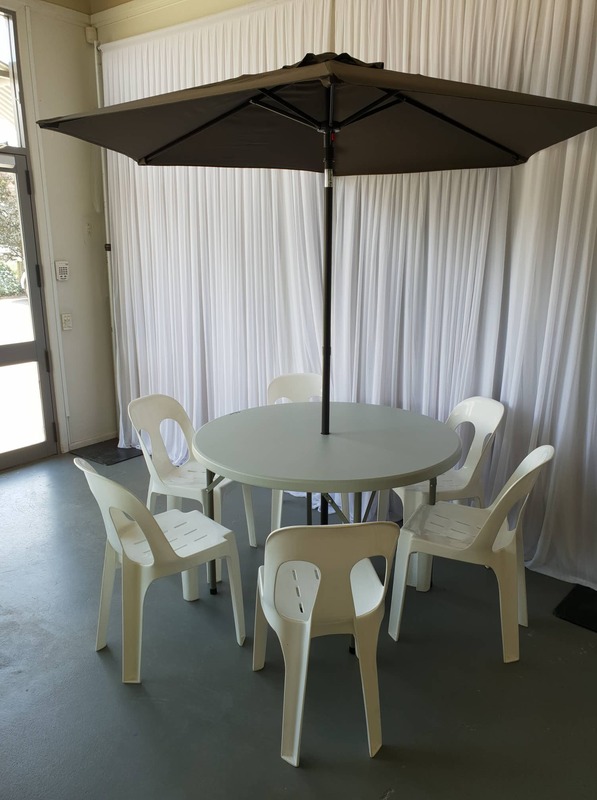 Come in and visit us at our showroom located at 63 Racecourse Road, Washdyke or phone us on 03 688 2258 for further information. Guest lists, table settings, cake, food – the number of tasks and details you have to track before your wedding can be overwhelming. The stress of it all can make it hard to get a good night’s rest. Unfortunately, sleep is more important to your physical and mental health than you might think. If you really want to manage your stress, getting enough sleep is essential. The good news – healthy stress management and sleep habits can help you relax and enjoy your wedding. Most people need seven to eight hours of sleep to function at their best. Without that sleep, your emotions are going to start riding a roller coaster, which can be disastrous for the levels of your wedding stress. 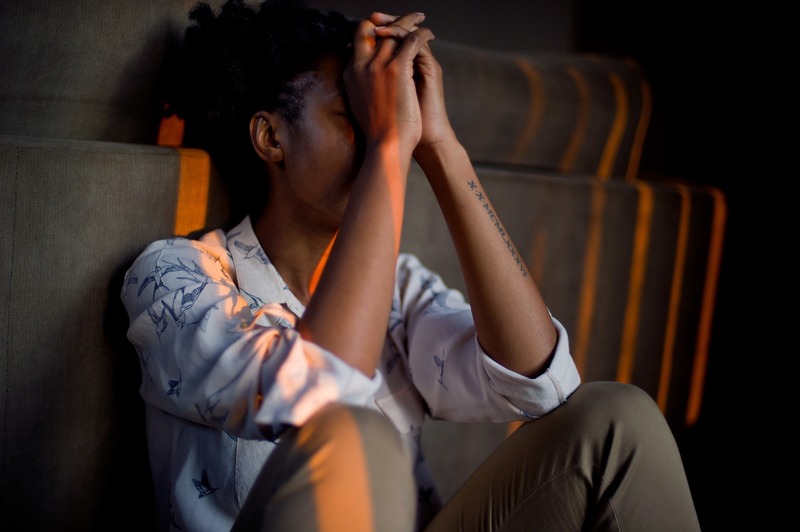 Without sleep, the emotional center of your brain becomes more sensitive to anything negative like trouble with seating arrangements or last-minute menu changes. At the same time, the portion of your brain that applies reason to your emotions and helps keep them in check becomes less active. The results – you get more stressed. 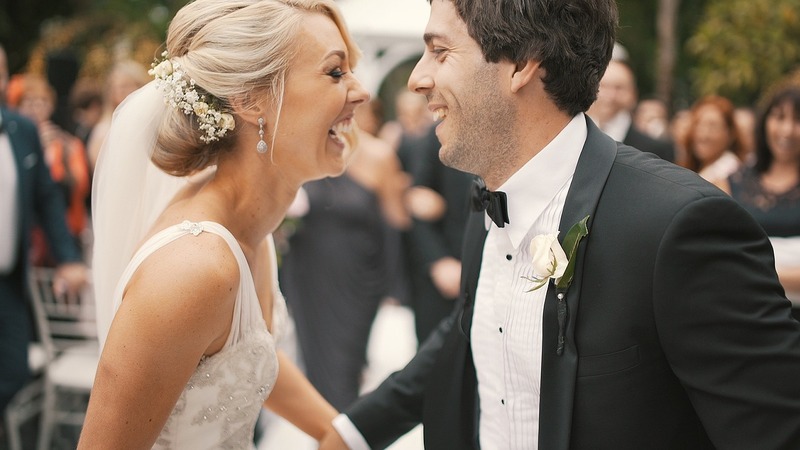 You can’t eliminate all of the stress from your life, especially with your wedding coming up. But, you can manage it in healthy ways to keep it from taking over. Reducing stress and getting better sleep often start long before you lie down for bed. Take a good look at the conditions in your room to make sure they support optimum sleep. For example, blackout curtains or heavy drapes can keep light out and block outside noise. Your mattress may also benefit from an upgrade if it’s more than eight years old. There are new options available like latex mattresses and organic foams, which can help you get a comfortable fit for your preferred sleeping position. Make sure you’re giving your body the fuel it needs to stay healthy. If you’re grabbing lunch on the go, try to choose foods packed with nutrients. High-fat, sugary foods may be fast and easy, but they can interfere with your digestion, which could come back to haunt you with acid reflux at bedtime. Keep a close eye on your intake of stimulants like caffeine. Anything drunk within four hours of bedtime can block the release of sleep hormones and make you feel even more stressed out. As you get closer to your wedding day, sleep will likely become even more elusive, and you’ll need to keep even closer tabs on what you’re eating. You might be tempted to indulge at the rehearsal dinner but try to keep things light. Not only will it help you sleep better but it can also prevent stress from causing an upset stomach. Even if you have a full schedule, make time for exercise. Not only can exercise help you relieve tension and stress but it can increase your energy during the day and help you feel more tired at night. An early morning run or an afternoon walk on your lunch break could be enough to improve your sleep quality. But, keep in mind that strenuous exercise done within four hours of bedtime could keep you awake due to the release of endorphins and adrenaline. With a focus on healthy eating and sleep habits, you’ll be able to get the rest you need so you can enjoy one of the happiest days of your life. 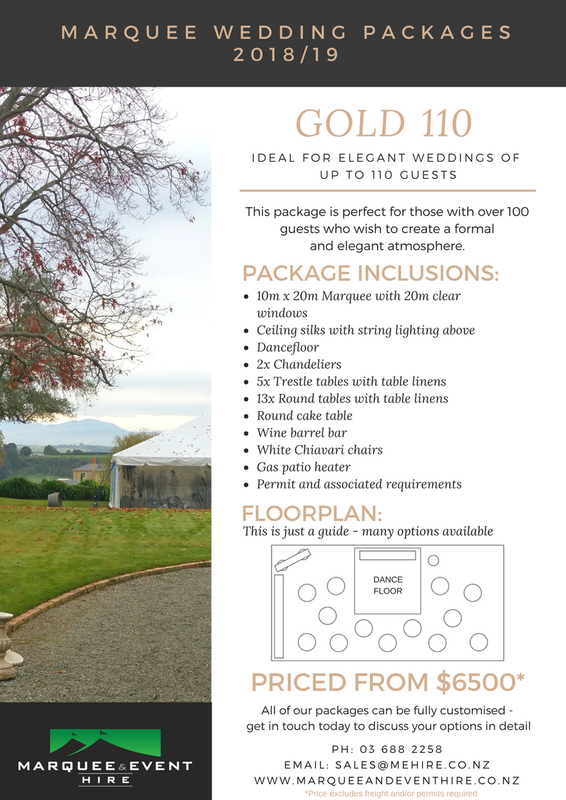 We know how daunting the task of planning your wedding can be - so to make the planning process easier, we have just released a series of Marquee Wedding Packages for 2018/19. 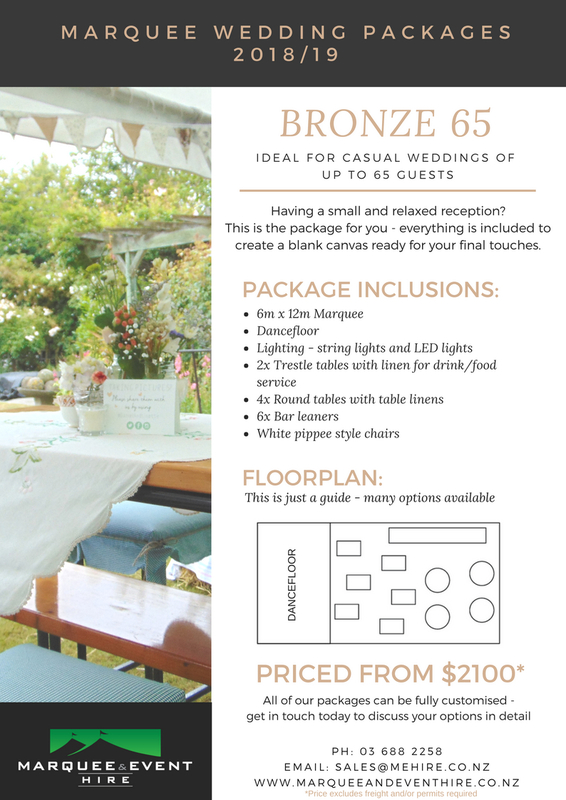 These packages create a fantastic blank canvas to use as the base for your wedding vision. We have a range of packages to suit all styles and budgets - take a look below and please get in touch to discuss further. 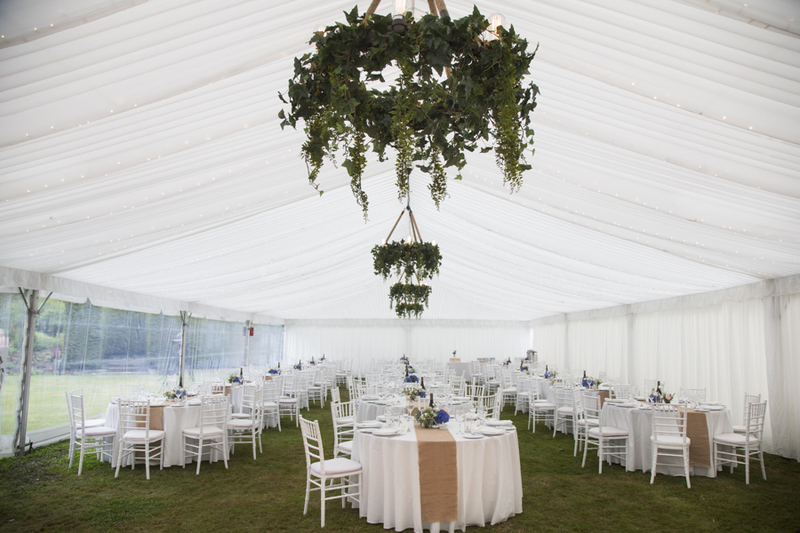 Why choose a Marquee Wedding? With Marquee Weddings becoming more and more popular, brides are no longer limited to traditional wedding venues. 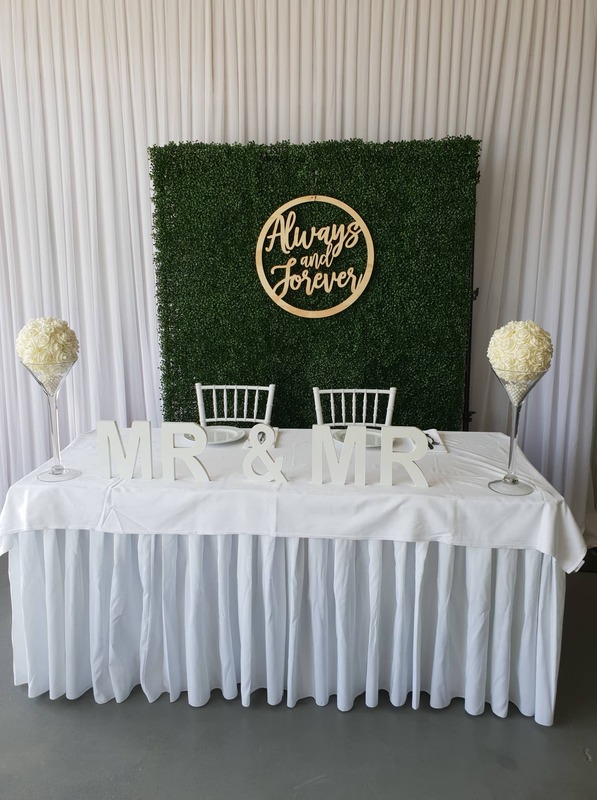 If you have found the perfect spot with a great outlook or are lucky enough to reside on a property with beautiful scenery, then a Marquee wedding may be the solution for your big day. Perhaps you don’t want to get married at the same venue that hundred’s of brides before you have done or maybe you have chosen a location that is void of a reception space and you need somewhere to entertain your guests.Marquee weddings are perfect for those who wish to make the space their own - the marquee provides a great blank canvas that can be transformed into a space that is quite often more beautiful than even the bride had imagined. 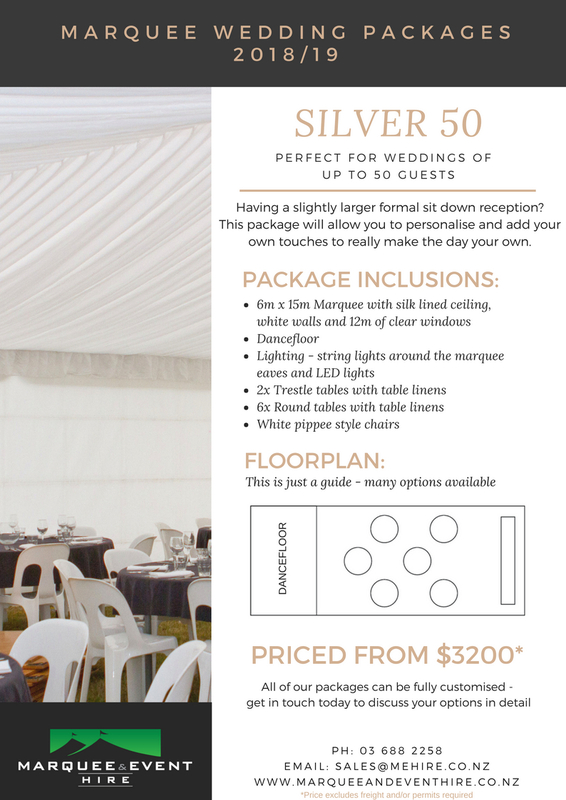 From low key casual backyard marquee weddings through to formal and extravagant 150 guest plus affairs, there is a marquee to suit all occasions - it is just about knowing (roughly) the kind of wedding you wish to have and who can make it happen. 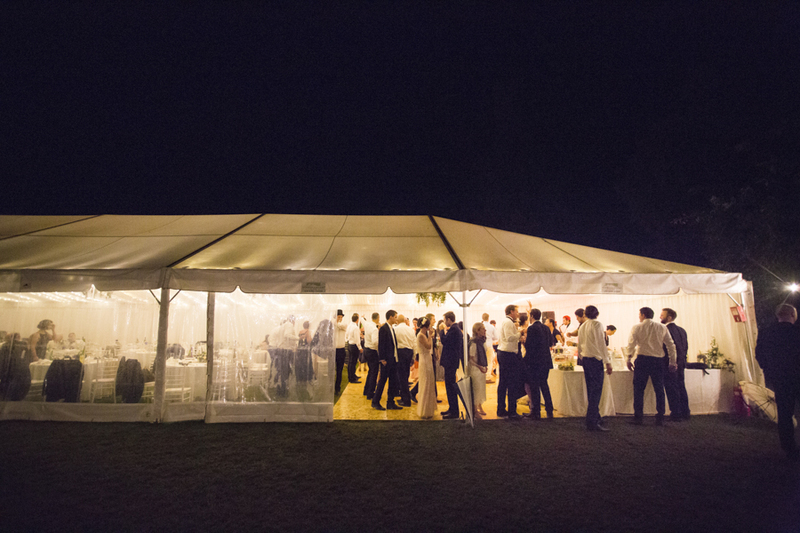 It is important that you use a professional marquee hire company to ensure that the equipment is of a high standard, that it is erected properly and to council standards (dependant on size). By using an experienced company, they can help guide you in your decision making process. 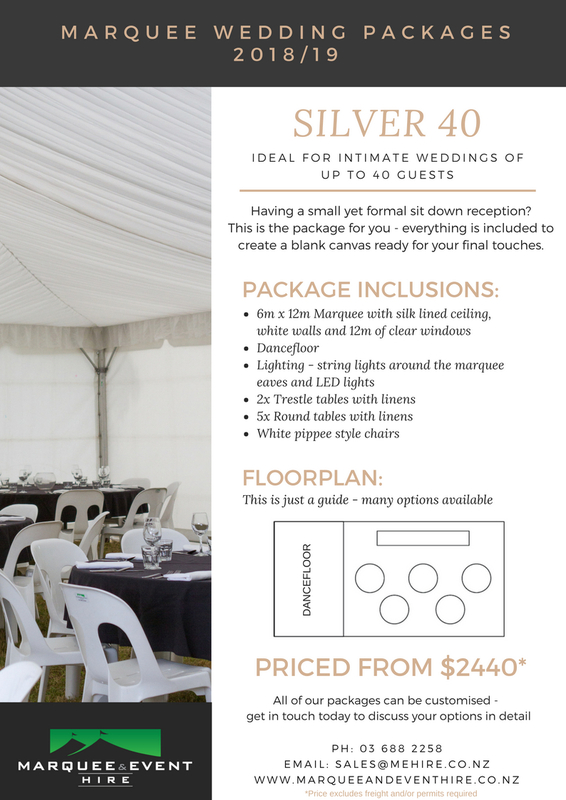 There is no use hiring a 4m x 4m marquee when you are wanting to host over 100 guests for a formal sit down meal - let the professionals with years of experience help assist you to make the right decision for your wedding! 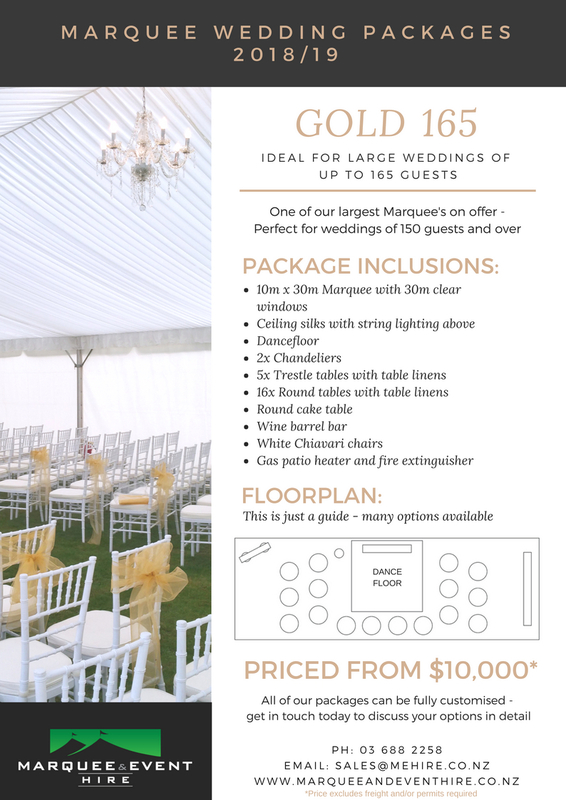 With so many options for a marquee wedding, it is important to look around and to do your research - do you want a marquee that has clear windows or ceiling silks? Will you have it on grass or concrete? If on grass, will you want flooring laid down ? These are just a few of the things you will need to think about when planning your big day - but don't let it overwhelm you, there are always experienced professionals around to help. Once you have made a few of these decisions, it is then on to the interior layout - do you want banquet style seating or the traditional long head table with round tables throughout for guests? Will you have a dancefloor, a cake table, a DJ or a band? 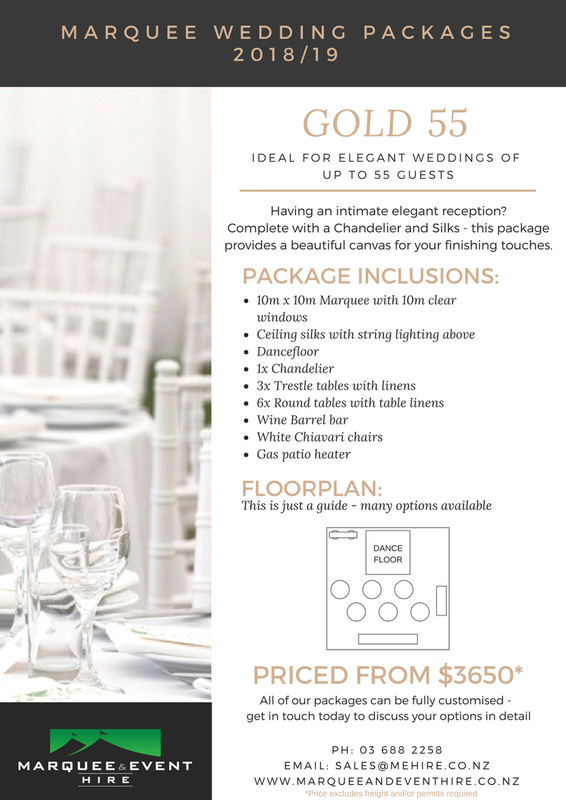 All of these components will contribute to your final layout and feel of your wedding - if possible, make a floorplan to get a rough idea of where all the items would be placed as this will assist in the planning process and on the day. There are so many variables in planning a marquee wedding, however it doesn’t need to be a daunting process - get the right suppliers who are experienced in what they will do and they will make the process as smooth as possible.